Here at the Woodrow Wilson School, we value diversity. In fact, we think our diversity is a strength. We take great pride in our commitment to admitting and enrolling a diverse student body along many lines. We define this broadly, and it may constitute racial/ethnic or cultural identities, nationality, region/state, specific skill sets, religion, gender, political ideology, sexual orientation, disability status, military service, or socio-economic status. We do not want, and perhaps more importantly our students do not want, to learn in an echo chamber. As such, we try to create a class that is diverse across a range of dimensions. Having these varied perspectives in the classroom not only enriches the conversations, but it also better prepares students to evaluate an issue from multiple angles to help develop thoughtful and effective policy. By fostering these conversations here on campus today, the relationships and ability to engage with individuals who are different from you will translate to the real world tomorrow. We have a dedicated administrative team working to advance diversity and inclusion at the Wilson School, and active student groups that are specific to the WWS. To highlight a few, for 22 years, the Students and Alumni of Color (SAOC) group has hosted an annual symposium focused on sharing and strengthening connections, knowledge, community, and resources among alumni and students of color and the School. This recent fall, SAOC successfully piloted a fall mentorship weekend. Our Gender and Policy Network (GPN) aims to deepen student understandings of gender as a variable in public policy; to develop personal and professional contacts for sharing information and guidance among students, staff, faculty and alumni; and to provide a forum for dialogue on contemporary issues about gender and policy. The GPN brings guest lecturers to campus as well as hosts brown bag lunch discussions among other things. Last year several students who were first in their families to earn college degrees formed a group to support first-generation students as well as students from low-income backgrounds who are at the Wilson School. Ultimately First empowers, elevates, and amplifies the voices of Firsts by fostering a visible community at the WWS. So much so that they also are willing to give tips to prospective first-generation students who are applying to policy school (they can be reached at first.woos.2018@gmail.com). At the WWS, while we are proud of our diversity, we realize there is always room for growth. Perhaps one of the greatest truths about higher education is that there is always something new to learn and every day we aspire to be better than the day before. Last winter a group of students came together to form Students for Educational Equity and Diversity (SEED), and they have asked important, sometimes hard, and thoughtful questions. Thanks to their collaboration with School administrators, some new programs and initiatives have blossomed at the Wilson School. For example, every Thursday, the Graduate Program Office now hosts Diversity Network Dinners for interested WWS students to break bread together and connect on topics related to race/ethnicity, class, gender, and sexuality. In addition, faculty approved a new Diversity and Inclusion Standing Committee which is charged with assessing climate for all groups at the WWS and to monitor the School’s diversity and inclusion work with regard to curriculum, student support, public affairs programming, and graduate admissions. This year, the School hired a Diversity and Inclusion Visiting Research Scholar to assist with efforts to better incorporate issues of diversity and inclusion in public policy in the curriculum. With each cohort, we hope to become more inclusive and more understanding—be it of people’s personal backgrounds, political preferences, or religious beliefs. We are a close-knit, small place where each one of us matters, each one of us has value as both a contributor and a learner, and we are able to see beyond the surface. Sometimes compromises among students need to be made, whether on a final project or in how to spend student group funds. Where we will not compromise, however, is on our commitment to admitting and enrolling a diverse student body across our degree programs. Our WWS Diversity, Equity, and Inclusion website provides a snapshot of the School’s efforts to provide an inclusive space. Many voices, one future: an inclusive Princeton offers more information as well as links with regard to campus diversity. 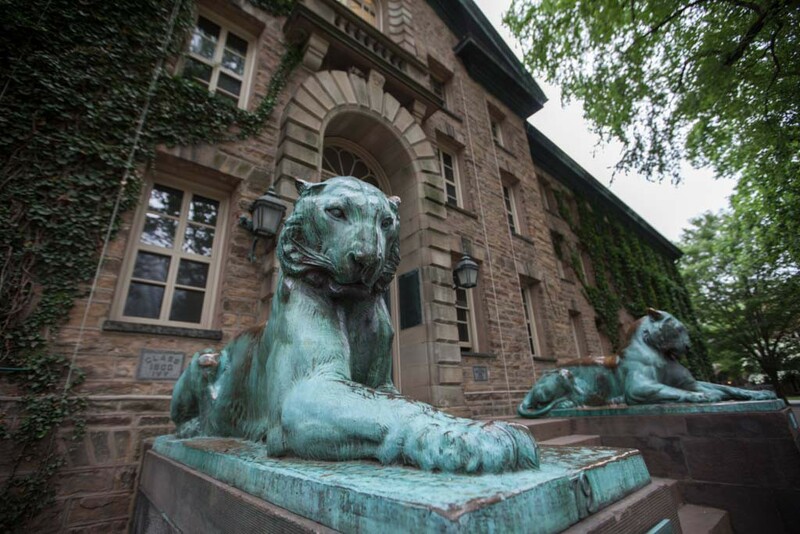 The Graduate School’s Access, Diversity and Inclusion page provides information that pertains to the 42 graduate departments and programs at Princeton.